Depression is a common mental disorder that presents with some or all of the following symptoms: a depressed mood, a loss of interest in things that once brought pleasure, feelings of guilt or low self-worth, disturbed sleep patterns, changes in appetite, a lack of energy, and poor concentration. These symptoms lead to impairments in an individual’s ability to take care of his or her everyday responsibilities and can become chronic or recurrent. According the World Health Organization (WHO), depression is common worldwide, affecting about 121 million people. Untreated depression can lead to suicide, and the WHO estimates that 850,000 people worldwide commit suicide every year. Depression is the leading cause of disability worldwide and was the 4th leading contributor to the global burden of disease for the year 2000, according to the WHO. Their estimates project that depression will rise to 2nd place in the global burden of disease listing by the year 2020. In many patients, mild to moderate depression can be successfully treated with a variety of naturopathic and holistic options, such as dietary changes, dietary supplements, exercise, massage, herbs, and sunlight. Naturopathic medicine is based on the philosophy of addressing the basic underlying cause of any health condition. Proper nutrition is a foundational component of any natural medicine program. Nutrition affects mood through the many substrates and nutrients needed for proper neurotransmitter synthesis and function. A healthy diet is not only essential for proper neurotransmitter balance, but it affects the immune system in ways that then affect neurotransmitter function. The inclusion of exercise is also of utmost importance in any program addressing mood disorders. In addition to nutritional intervention and exercise, there are many other therapies that may improve mood in patients with mild depression. Following are a number of evidence-based, effective alternative/naturopathic treatments for depression, including dietary supplements, massage, herbs, sunlight, and more. Aromatherapy is the use of essential oils to treat a variety of conditions. Naturopathic physicians use aromatherapy to treat depression, anxiety, insomnia, and stress-related disorders and to manage chronic pain. Essential oils have been used effectively for centuries as a traditional medicine, but they have been the subject of few studies. Even in the absence of sufficient studies to completely explain the pharmacological effects of many essential oils or their active chemical constituents, the studies that have been done show measurable pharmacological effects when essential oils enter the blood stream through either inhalation or topical application. 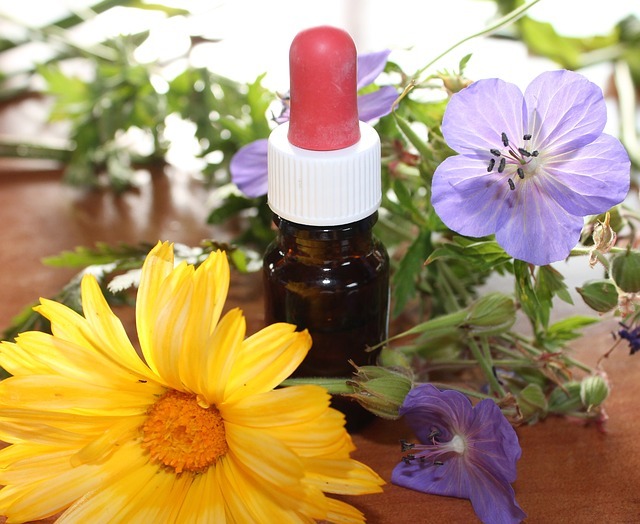 Researchers at the Medicinal Plant Research Centre, United Kingdom, reviewed the published clinical trials of “psychoaromatherapy” in relation to psychiatric disorders, as well as evidence from mechanistic, neuropharmacological studies of the effects of essential oils. The authors concluded that aromatherapy may offer effective treatment for a range of psychiatric disorders. They also found that it does not appear to pose the risk of adverse effects found with many conventional psychotropic drugs. Various aromatherapy oils, diluted in carrier oil like almond or olive oil, are massaged into the skin, where they are absorbed into the bloodstream. 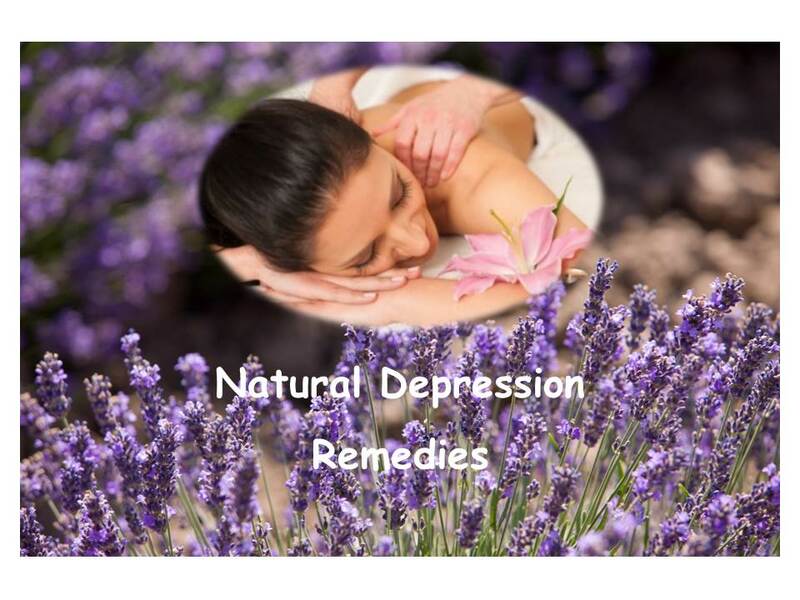 Below is a list of some of the essential oils used in the treatment of depression and anxiety. Clary sage is used for treating insomnia, anxiety, and depression. Basil lifts fatigue, anxiety, and depression. Rose acts on the nervous system. Ylang ylang is used for anxiety, depression, insomnia, and stress. Sandalwood has sedative properties and is good for treating depression and tension. Lavender is used for depression, headache, hypertension, insomnia, migraine, nervous tension, and other stress-related conditions. Jasmine increases the beta waves in the frontal lobe, which can create a more alert and responsive state of mind. Rosemary relieves headaches and aids clear thinking. Patchouli has an uplifting effect for depression and anxiety. Chamomile is very calming; it soothes nerves and helps insomnia. Geranium is both sedative and uplifting and thus is used for treating nervous tension, depression, and hormonal and menstrual problems. A 2007 clinical study published in the Journal of Clinical Oncology looked at the effectiveness of aromatherapy massage in the management of anxiety and depression in patients with cancer. Two hundred eighty-eight cancer patients in the United Kingdom referred to complementary therapy services because of clinical anxiety and/or depression were randomized to a course of aromatherapy massage or usual supportive care alone. The authors concluded that aromatherapy massage does not appear to confer benefit on cancer patients’ anxiety and/or depression in the long term but is associated with clinically important benefit up to 2 weeks after the intervention.3 In other words, aromatherapy is not a cure for depression, but it may be an effective short-term aid in managing depression and anxiety when used with other treatment options. Another study was conducted with nursing students in Korea to test the effectiveness of lavender essential oil on insomnia and depression. In a 4-week-long, single-blind, repeated-measurements experiment, researchers studied 42 female students who complained of insomnia. The lavender fragrance had a beneficial effect on insomnia and depression in the students, though repeated studies would be needed to confirm effective proportions of lavender oil and carrier oil for insomnia and depression. A controlled trial conducted in Thailand tested the relaxation properties of ylang ylang oil. The oil caused a significant decrease in blood pressure, a significant increase in skin temperature, and a greater sense of calm and more relaxation. The authors conclude that there is evidence of the effectiveness of ylang ylang oil for relief of depression and stress in humans.